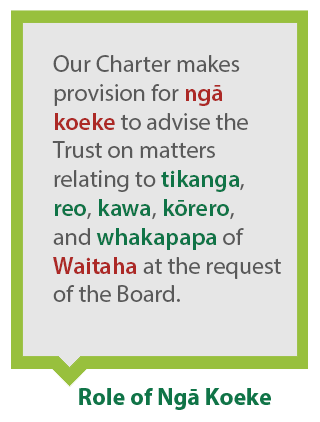 Our vision is to ensure our leadership is consistent with the values and tikanga practices that express being Waitaha. This is demonstrated through our actions, the way we behave, how we think, our relationships with people, our whenua and our environment. While we have a responsibility to protect the rights and interests of our people. Our goal is to ensure that our relationship with the Pae Tapu is consistent. This ensures our responsibility to uphold ngā tikanga by “doing the right thing” and “doing it right”. 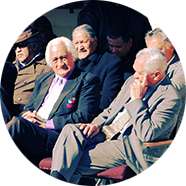 We do this in a way that expresses our unique identity and recognises the mana of Waitaha. We have planned regular bi-monthly meetings with the Pae Tapu to collectively discuss, seek guidance, and endorsement to the tikanga dimensions in the implementation of our delivery.